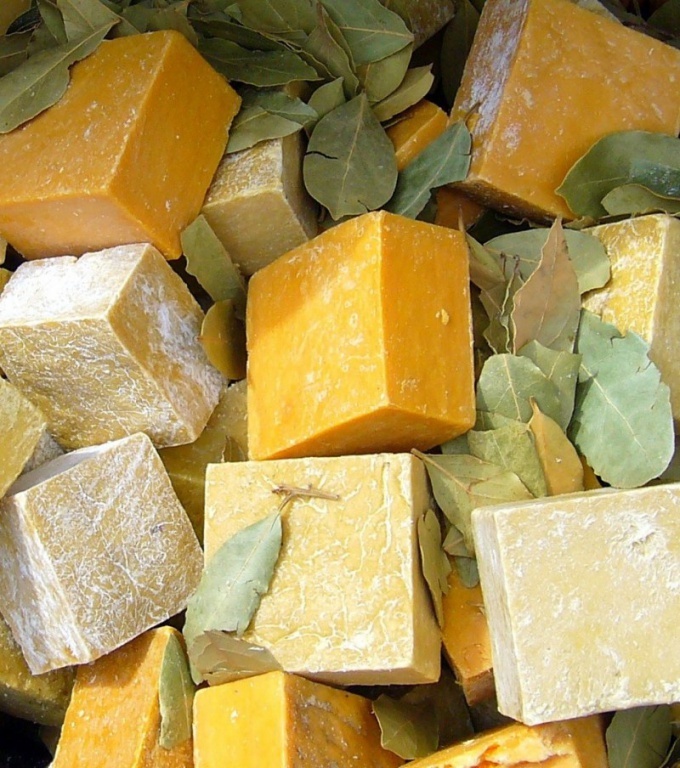 If you decide to make soap handmade from scratch, based on the store-bought Soaps and complete with your components, your work will start with the fact that you have to melt the base. And how well you do, depends largely on the future outcome. - two pans (microwave, steamer). Take a grater, deep bowl and start shredding soap. The grater the preferred take a beet, smaller soap rubbing uncomfortable. If you have a food processor, facilitate your work – grind soap with it. It is best if you grate the fresh soap as it is crushed very easily. But with the old pieces you have to Tinker. After you have shredded all the soap, which is going to melt, pour the soap flakes with milk and leave to stand for at least a couple of hours. Ideally would be if you rubbed soap in the evening and allow to stand for him in the milk all night and in the morning we will start melting. Milk, vetasses will make the soap more smooth and also help remove foam that will certainly be produced by further mixing the ingredients. You can now proceed directly to the melting soap. This can be done in three ways: in a water bath in the steamer and in the microwave. In order to melt the soap in a water bath, pour the soap shavings into a small saucepan. Then take the pot bigger, fill it with water, put it in a small pot and put the design on the plate. Depending on the recipe, add soap, water, glycerin, olive oil. Stir constantly until soap up until it is completely dissolved. Wait until the mass is homogeneous, without lumps. Take a deep microwave-safe bowl, pour there soap flakes and place in the microwave for four minutes. When time has passed, remove the bowl, stir a lot and send him back to four minutes in the microwave. Repeat procedure until then while the soap will not dissolve completely. Put grated soap in a heat-resistant package for baking, the pack put in a steamer and keep it until the soap melts completely. To pour the melted soap in the molds, you wouldn't even have to open the package. Just cut a tip and extrude the soap mass as the cream.